Post for a good cause. Truly Loving Company (TLC) is back with Season 2 of the Promise Me campaign. I missed out last year's campaign. This year, 12 corporations and institutions come together to fulfill 12 golden wishes from charity organisations and I'm supporting Nuffnang's Pledge to raise funds and help Rumah Aman replace their 15 year-old electricity wiring and lightning breaker system. Truly Loving Company produces personal and household products including bath & body products, kitchen cleaners, floor cleaners, bathroom cleaners, which you can find in major supermarkets and grocery stores. When we buy TLC products, we're actually contributing to charity because 100% of the company's dividends are split between 5 charity partners they are affiliated with. I've tried TLC's body scrub once, unsure if I got it for free or bought it during my Jog For Hope at Taylor's last year. I'm not gonna lie, it smells heavenly! I really loved it alot. Rumah Aman is an orphanage located in Shah Alam, with complete facilities to care for poor boys who are orphaned or from need families. The home started in 2005 and currently houses 30 boys of various ages. They are provided with education, clothing, food and shelter. Their mission is to give the best to the children. An urgent upgrade needed for the wiring in Rumah Aman as their old wiring is quite susceptible to power outages during storms and the lighting has previously caused damage to the property before. The upgrade from the current 2 phase electrical wiring system to a 3 phase one will cost an estimated RM20,000. Online: Direct donation to Rumah Aman (Shah Alam) via online banking to Maybank2U with remark 'Nuffnang TLC Promise Me S2'. Account: 562106720433 Rumah Aman (Shah Alam). Via Milkdeal: Check the page here. All donations are tax deductible and Rumah Aman will be able to issue a receipt for your kind donation. Just tell people about it! For more info on TLC Promise Me Season 2 campaign, check www.tlcpromiseme.com. 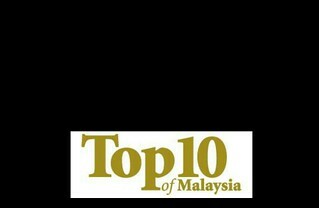 For more info on Rumah Aman, check www.rumahaman.com.